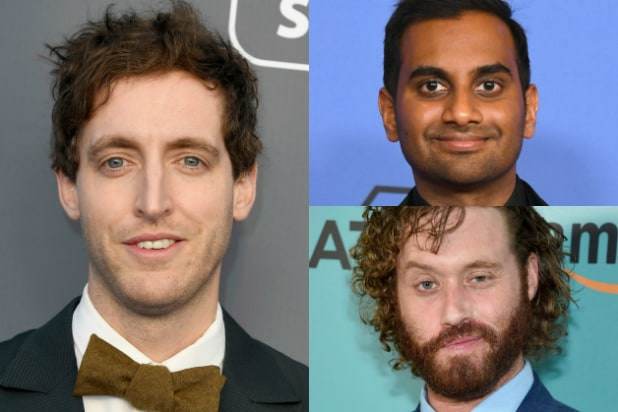 When asked whether the accusations against co-star T.J. Miller — who isn’t returning for Season 5 — were discussed on set at “Silicon Valley,” Middleditch said, “People who know him, sure, we chat about it.” But he also said he didn’t know enough about the situation to comment on it. Miller was accused in December of sexually assaulting and punching a woman while they were at college together. He denied her accusations, saying in a statement with his wife that the accusations were meant to “discredit” them. “Sillicon Valley” returns to HBO in March.